Engineered With Vision. Built With Care. Providing end users with reliable, yet economical, products is the corner stone of the PowerSonic mission. 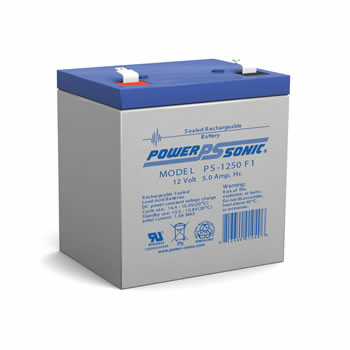 The Power-Sonic Corporation has been a leading force since 1970 in the supply of high quality cost effective batteries. Power-Sonic markets an extensive range of rechargeable sealed lead acid batteries worldwide. These batteries envelop a broad spectrum of electronic and industrial applications, either as the prime or standby power source. Engineers and buyers continue to insist on Power-Sonic batteries, wherever reliable and cost effective DC power is required. Power-Sonic is dedicated to continual product development to improve the performance and reliability of our product range. Power-Sonic strives to produce batteries with superior performance characteristics and value, through advanced engineering and state-of-the art manufacturing processes, coupled with the use of premium raw materials.